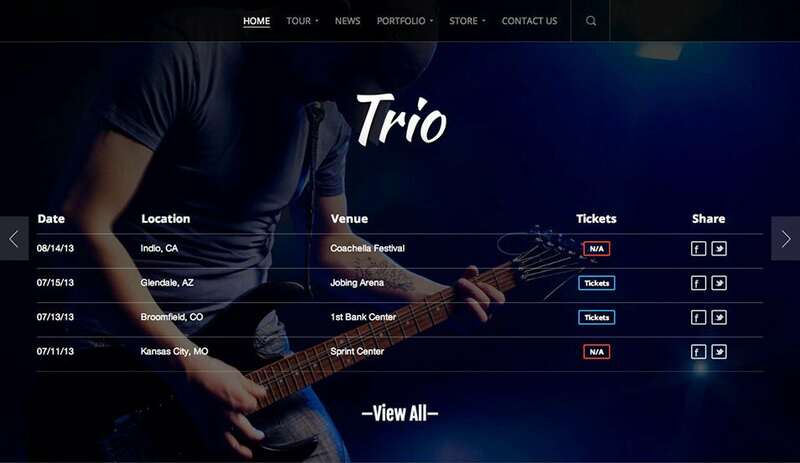 The Music Band Premium WordPress Theme is one of the most unique WordPress themes custom made for musicians, artists, events and other creative activities alike. 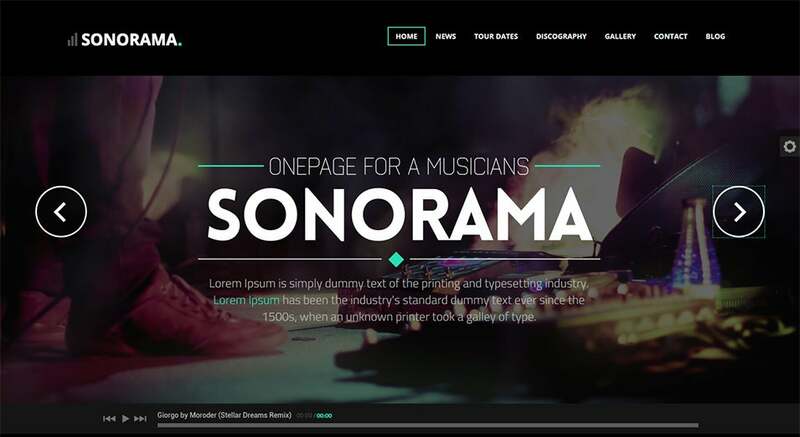 With 16 custom templates, 5 custom widgets, advanced admin panel and 25 predefined skins you can create a stunning website to display your creative pursuits. 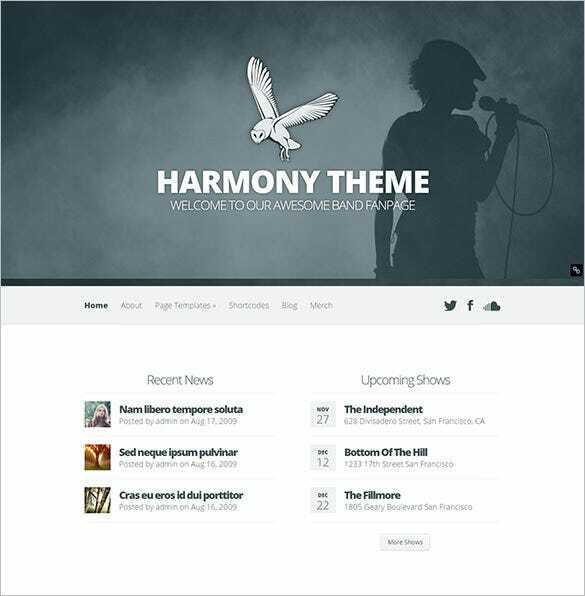 The Harmony theme uses CSS Media queries so that the website can be easily displayed on any given screen size. 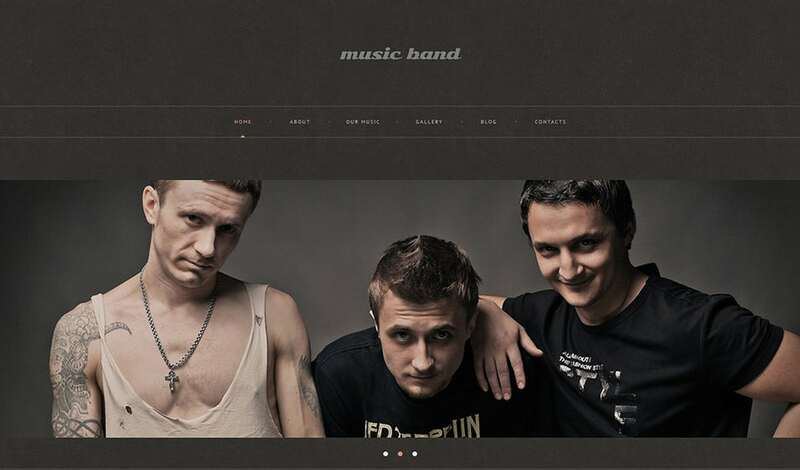 The Music Band Responsive WordPress Theme is an ideal template for you if you own a band and would like to reach out to your fan base to let them know about your music and upcoming performances. 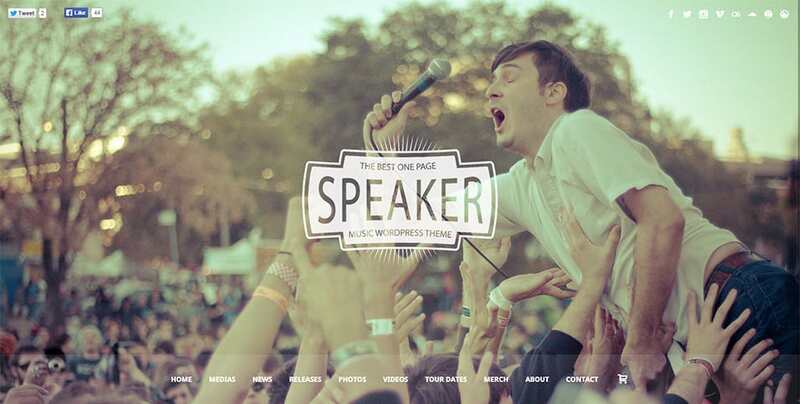 The neat spaced out featured background serves as an ideal backdrop for a music band. 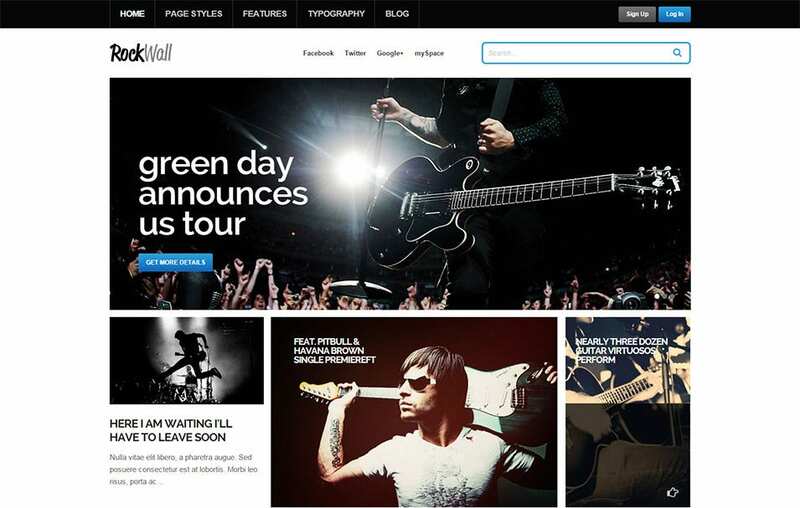 Create a music website which will stun your fans and viewers alike, with this 100% responsive Music Band WordPress Theme. This fully editable multilingual ready theme comes with 80+ shortcodes, fantastic sliders, a built in theme customizer and a filterable portfolio. What more? You get a SEO ready portal to gain more publicity on the web. 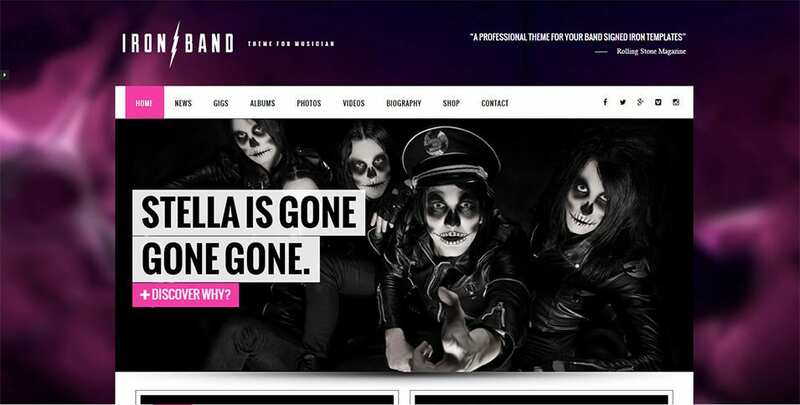 Bring about a stunning makeover to your band’s website with the help of the Music Band WordPress Theme. 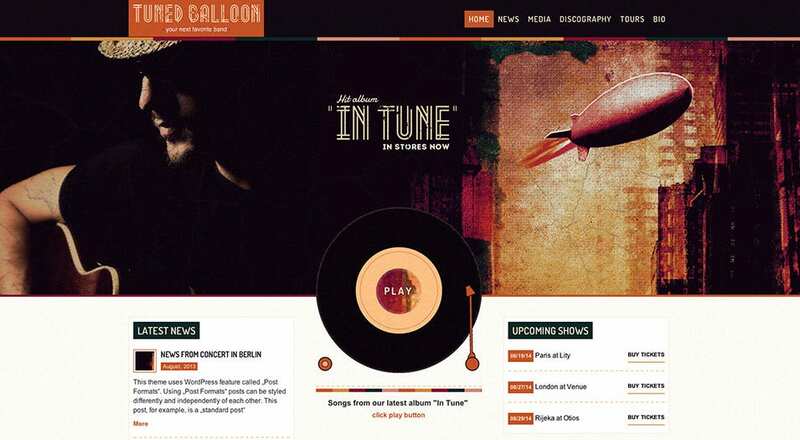 The modern and creative fully responsive design can be installed with just a click. 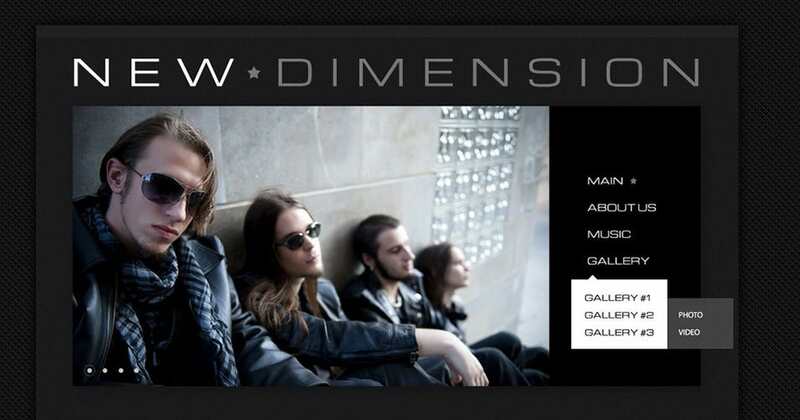 With SEO Optimized headlines, a modern glass version and retina graphics, you cannot find a better Music Band template! 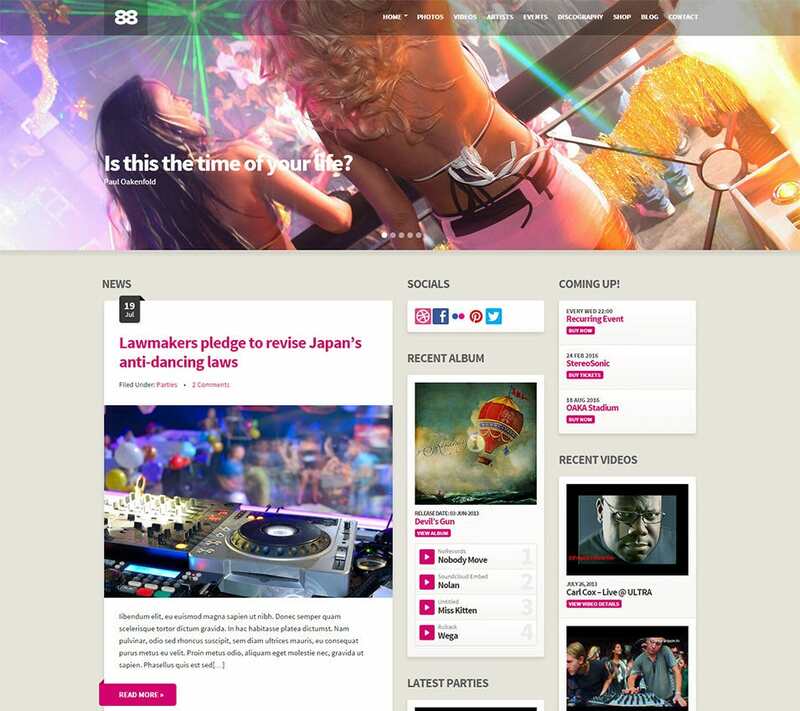 Create a striking website as well as you spin the console! 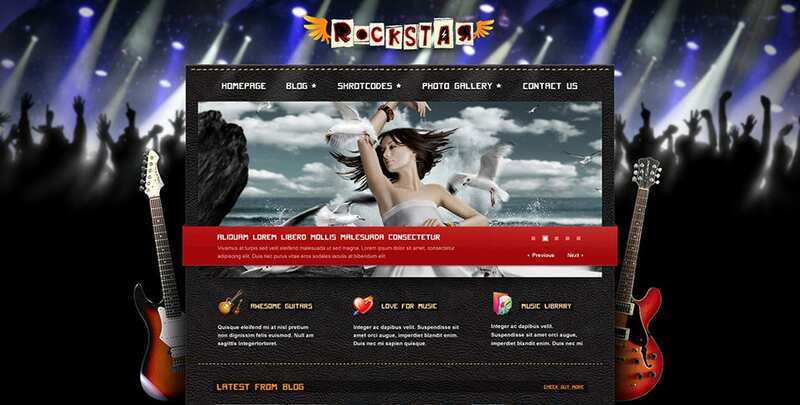 Here’s presenting the Rockstar Premium Music Blog press theme for the DJs and music enthusiasts alike. 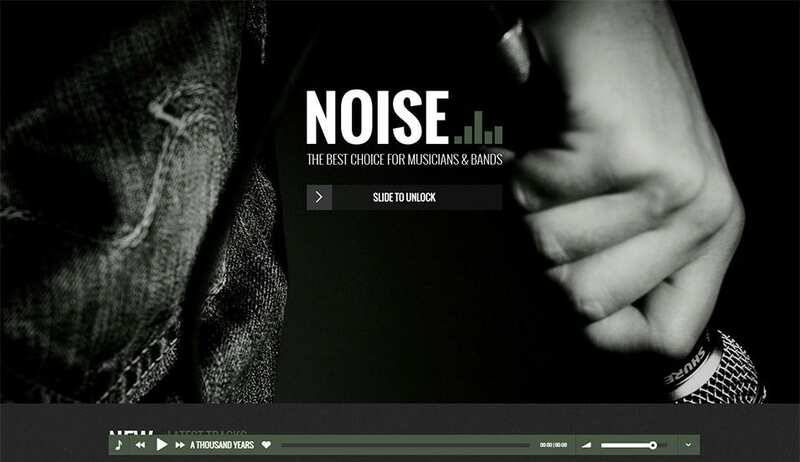 You get five different and unique themes for keyboard players, DJs, drummers and singers which can be effectively customized as per your creativity. So what are you waiting for? Grab the template today! 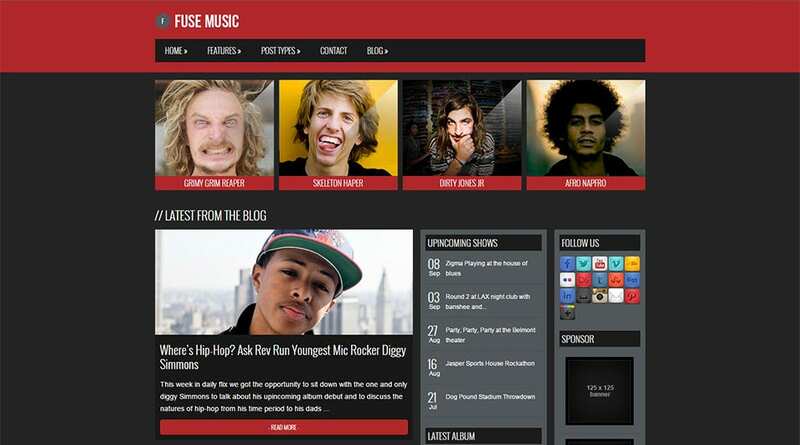 Fuse Music WordPress Theme is made for budding musicians – individuals or bands who are looking to create a music blog or a personal or band portfolio on the web. 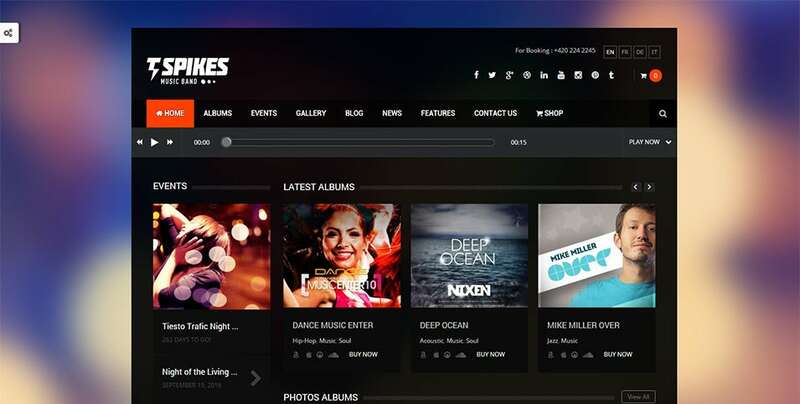 The social media plug in feature automatically enables you to link any existing social media website where you have already built a fan following base. 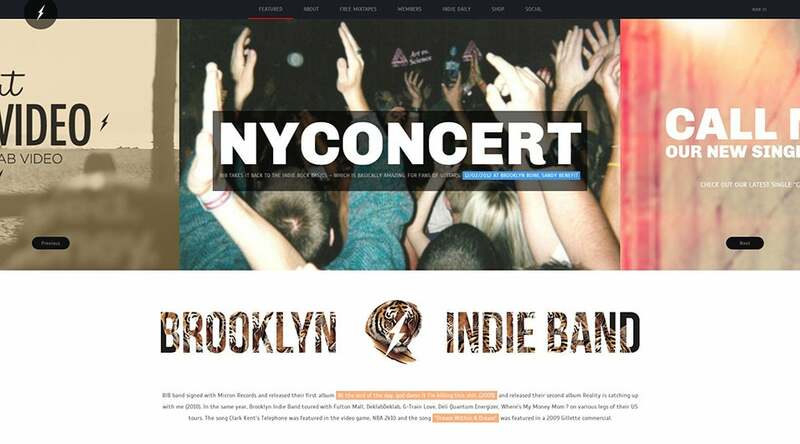 A beautiful website created for punk rockers, piano players, jazz master or a soprano singer alike, the Music Band and Musician’s premium theme has been built with real time, interactive guided instructions right inside the dashboard to assist in getting started on this WordPress theme right away. Now create unlimited style which demonstrates your soul. 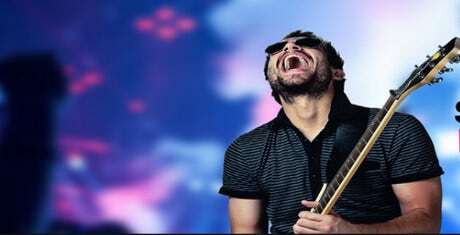 Music is Life! 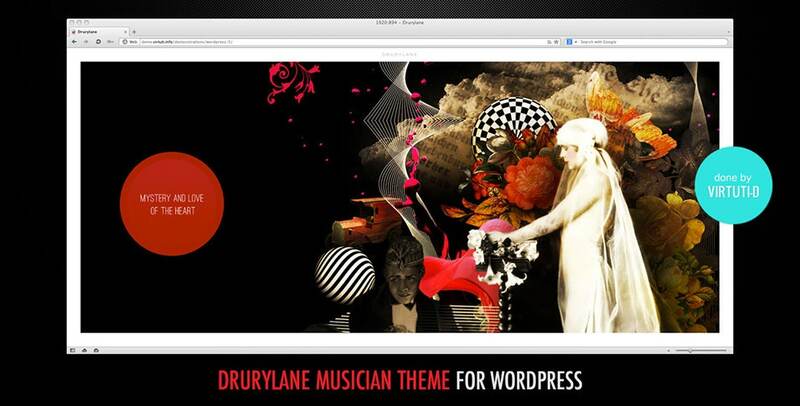 Now live up to this theme everytime with the Music Band WordPress Theme. 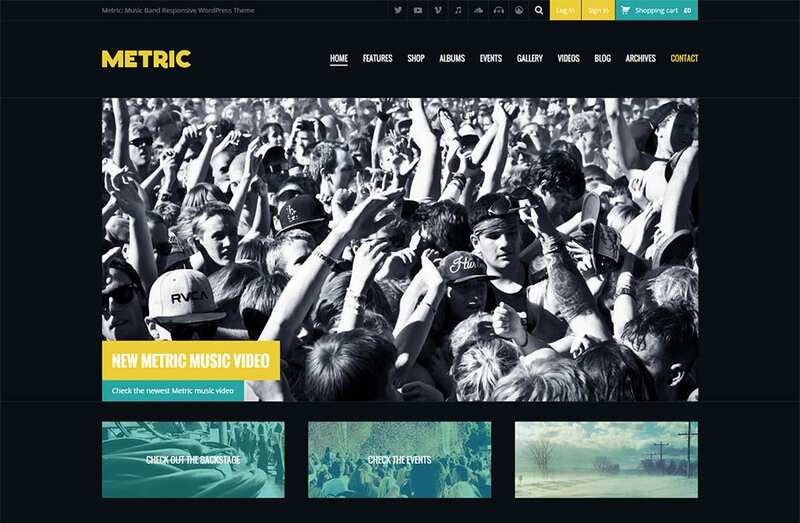 This template for artists, musicians and photographers alike, can assist you in creating eye catching content with full width video background. 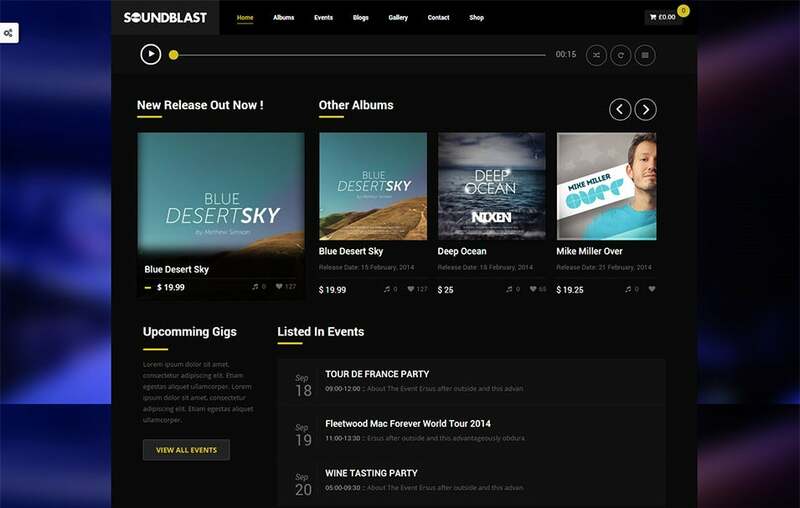 Using drag and drop, you can create unlimited number of page layouts. 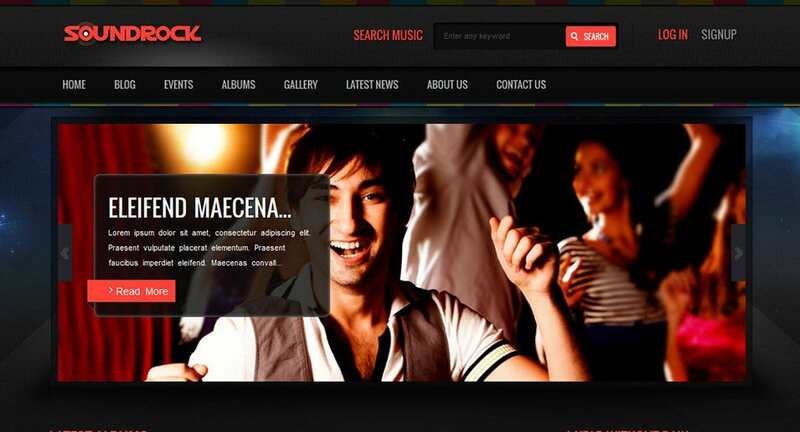 Would you like to create a forte in the field of entertainment event organization? Here’s your chance. 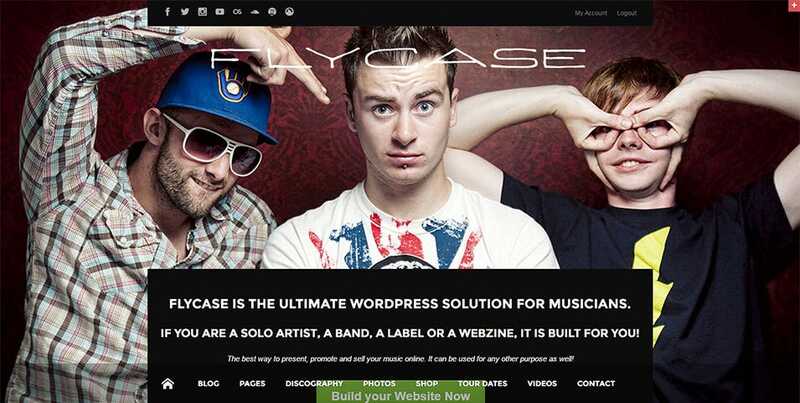 Simply download the Music Band WordPress Theme and spin your world in music. 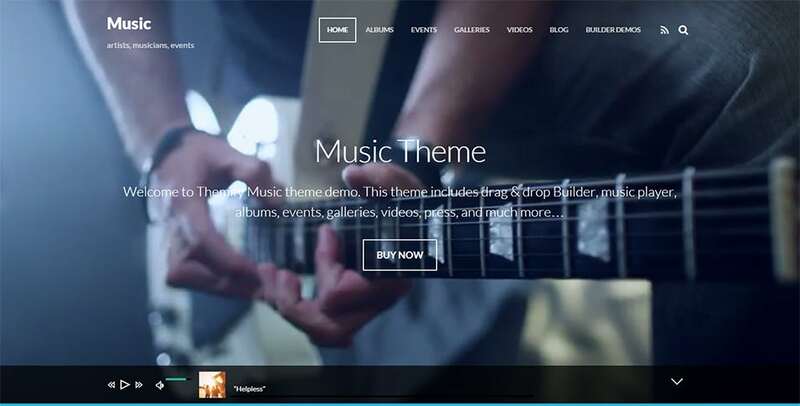 Equipped with 7 Layered PSD, powerful page builder Visual composition, MP3, Soundcloud, Radionomy and Shoutcast, this theme is the ultimate music template for your business. 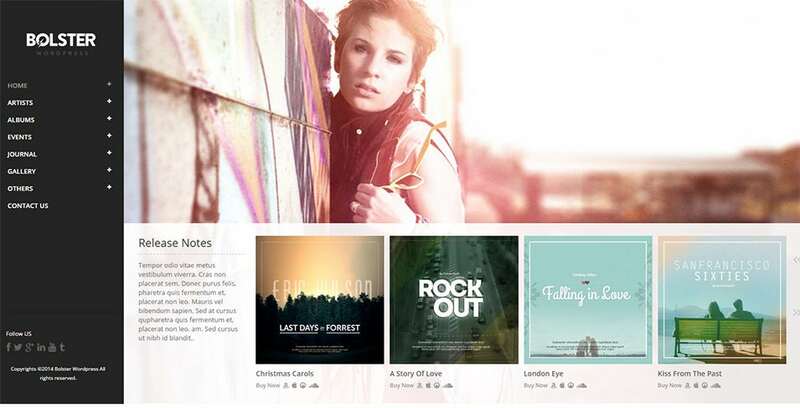 With the Music Band WordPress Theme, say hello to awesome design with a music theme. 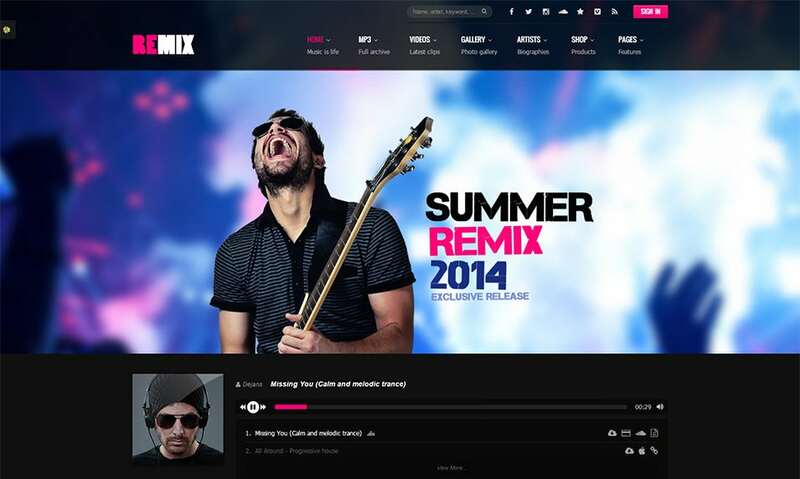 This is by far the best theme for music, party, radio station, events, band or blogging. 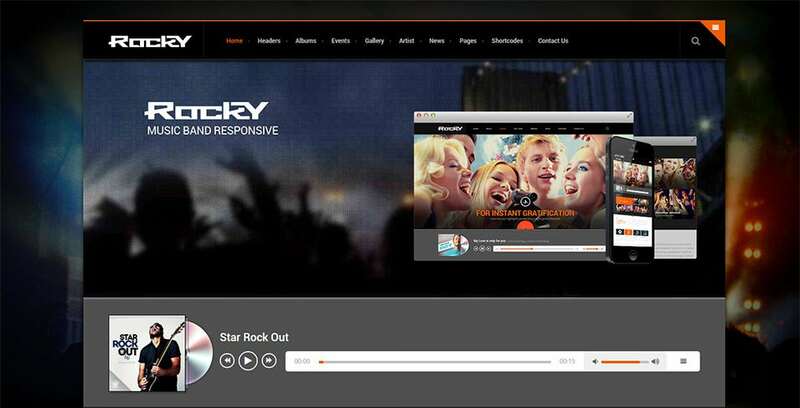 With a visual composer, slider revolution, PSD files, WPML ready and responsive design, you are sure to create a modern appealing design.